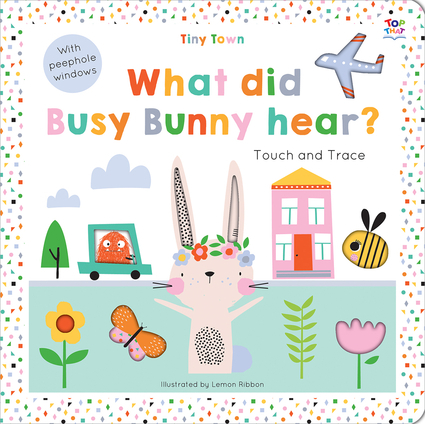 Follow Busy Bunny on a journey around Tiny Town. This cute interactive book features clever textured paths and cut-outs for little fingers to follow, and peephole windows on every spread. Perfect for adults to share with children age three and up. A published author in over 60 countries, Oakley Graham has penned over 200 children's books for the likes of Penguin, Disney, School Specialty, Scholastic, The Hayward Art Gallery London, Washington Corcoran Gallery of Art and Top That Publishing. Set up in 2009, Lemon Ribbon creates little packages of imagination—unique, on-trend designs that children, parents, and retailers love.